Keep baby's LATCH pacifier clean and close with this colorful designer clip that you can mix and match for added style. 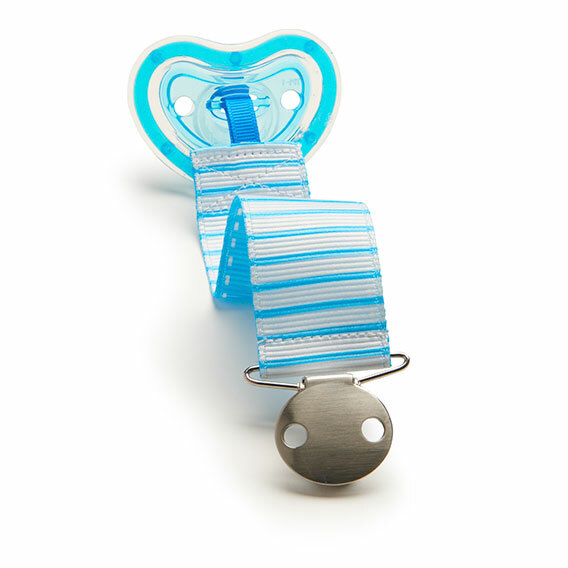 Pacifiers are notorious for falling out of your baby's mouth and ending up on the floor or hidden behind the couch. Munchkin has the perfect solution for this, a pacifier clip that attaches to your baby's clothing to help keep your pacifier handy. The best part is that you can mix and match to create whatever style or color combination you'd like.